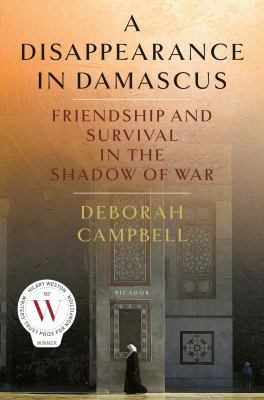 Deborah Campbell has won awards for her writing focusing on situations in various countries. Traveling to Damascus, Syria, to cover the stories of Iraqi refugees who fled there, she hires an Iraqi woman named Ahlam as her “fixer,” the person who helps connect her to locals and give her on the ground help with her story. Ahlam is deeply involved with the refugees in the “Little Baghdad” area of Damascus and is passionate about helping them. She starts a school for girls in her apartment, maintains connections with Americans she has translated for in the past and other journalists she has helped. Then one day she is arrested and disappears. Campbell is extremely concerned and worried that Ahlam’s work for her has compromised Ahlam’s safety. Ahlam is no longer just her “fixer” but a good friend and Campbell is determined to find out what happened to her.